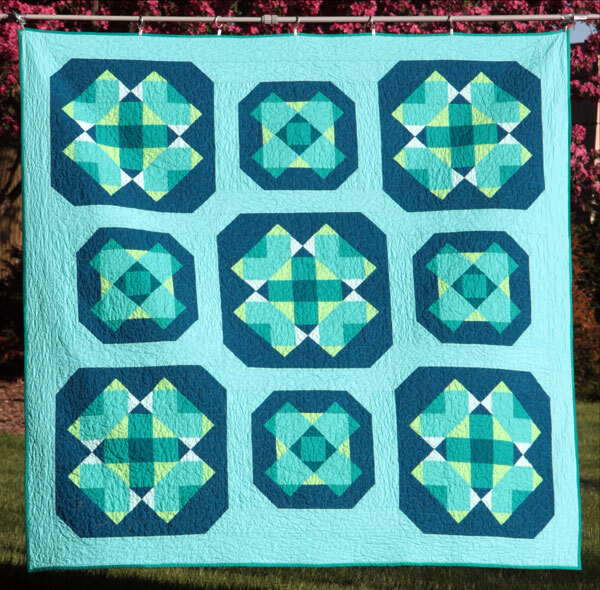 The pattern for this quilt is available here. For this quilt, I wanted to make something look like it was underwater and play with transparency. I had fun picking and arranging all the different blues and greens within the pattern. This is a double-sided quilt. The other side is my Pacific pattern.